Each of the following links contain a downloadable, fully functional project. Detailed instructions on how the project was created are also provided. 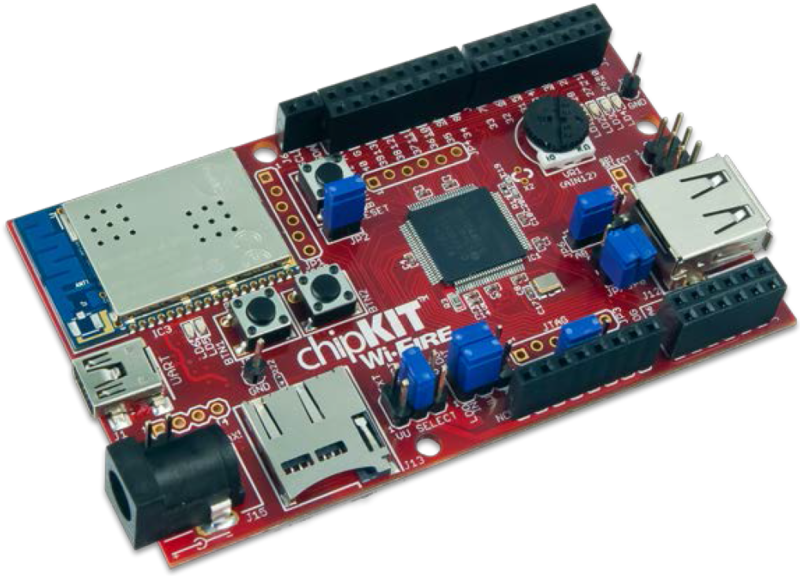 The Ports project on the chipKIT Wi-FIRE board uses the Ports Peripheral Library to control four LEDs on the development board. Three LEDs are turned on and one LED blinks in response to a timer interrupt. One of the LEDs that turns on can be turned off by pressing a push button. 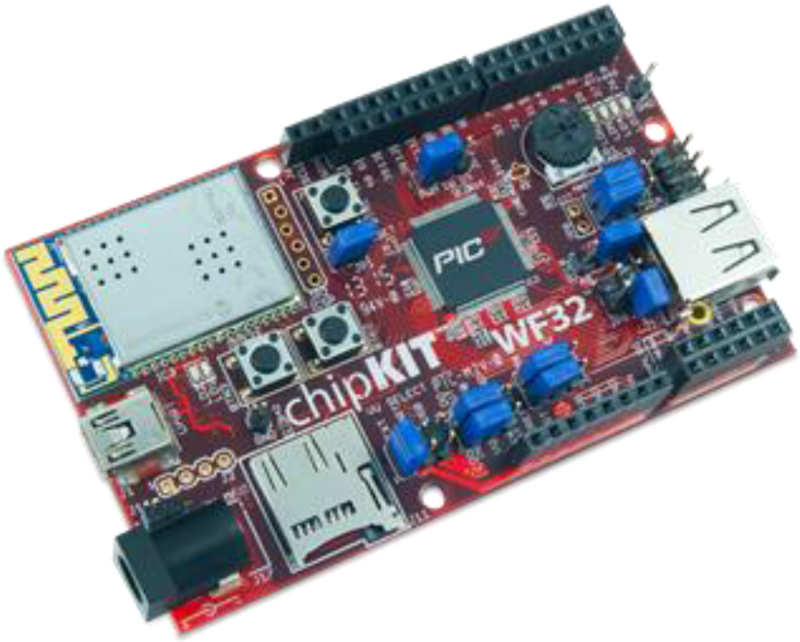 The Ports project with chipKIT WF32 board uses the Ports Peripheral Library to control four LEDs on the development board. Three LEDs are turned on and one LED blinks in response to a timer interrupt. One of the LEDs that turns on can be turned off by pressing a push button.